On Saturday afternoon May 2, 2015, Bedford County 911 dispatchers received a call from the 1300 block of Hannabass Dr., Moneta. The caller reported that Alena Gupta was outside of her house causing a disturbance. As deputies were responding, Gupta broke the door glass out, entered the residence and assaulted the caller. Deputies arrived on the scene and arrested Gupta, age 25. She was charged with breaking and entering, malicious wounding, assault and battery and destruction of property. She is being held in the Bedford Adult Detention Center without bond. 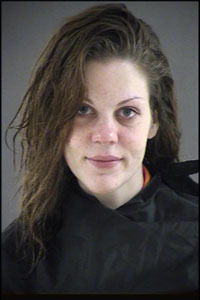 Caller’s name: Stephanie Kortlang, age 20, 1327 Hannabass Drive, Moneta. Refused transport to hospital. Alena Gupta, age 25, 1324 Rucker Road, Moneta.